When it comes to Hollywood Hills real estate, there’s no development quite as exclusive as Doheny Estates. This neighborhood is nestled in the perfect spot on the west end of the Hollywood Hills, giving its residents unparalleled access to city life while still allowing them to feel like they are far from the buzzing city beneath them. The Doheny Estates real estate market is often filled with multi-million dollar listings, ranging from modest 5-bedroom homes that are priced around $7 million to sprawling 10,000-square-foot estates that fetch closer to $25 million. Obviously, this type of real estate is generally reserved for those who can afford it — such as business executives, investors and the Hollywood elite. The properties available in Doheny Estates offer resort-style amenities, such as infinity pools that feature panoramic views of the city skyline or gourmet kitchens that befit the chefs that are often employed by the residents. In addition to these amenities, the prestige and notoriety that comes with investing in one of these properties cannot be beat. 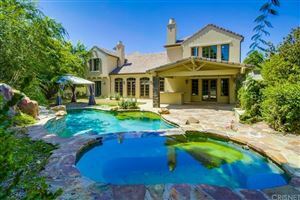 The competition is high to get one of these homes, and qualified buyers are willing to do what it takes to live in Doheny Estates. Perhaps the most famous home in this development is the Greystone Mansion, which is an estate inspired by England and casts a stately presence on its lush Los Angeles lawn. Originally, the home was built as a gift for Ned Doheny Jr., the son of oil tycoon Edward Doheny. Today, this home is not a private residence but rather a public park where people can explore this national historic site. Greystone Mansion is commonly used as a set for Hollywood films and TV shows. For more information on buying a luxury home in this elite community, contact our experienced LA county real estate team today.